Intelligence failures allowed Umar Farouk AbdulMutallab to board a Detroit-bound flight on Christmas Day, the report said. Committee report described "systemic failures across the intelligence community"
Washington (CNN) -- A Senate Intelligence Committee report released Tuesday sharply criticized the National Counterterrorism Center for failing to properly coordinate intelligence activities to detect the botched Christmas Day airline bombing. The report said the center, created after the September 11, 2001, terrorist attacks to coordinate U.S. intelligence efforts, was "not organized adequately to fulfill its missions." In addition, the report said other problems allowed suspect Umar Farouk AbdulMutallab to board a flight bound for Detroit, Michigan, in December with an explosive device that failed to detonate. 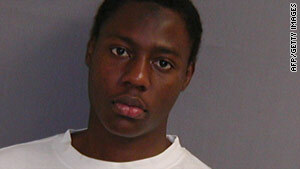 AbdulMutallab was detained when other passengers noticed his clothes burning from his attempt to set off the device. Two Republican committee members, Saxby Chambliss of Georgia and Richard Burr of North Carolina, wrote an additional section to the report in which they accused the National Counterterrorism Center (NCTC) of failing to carry out its basic mission. The center's "failure to understand its fundamental and primary missions is a significant failure and remains so today," the two senators wrote. Director of National Intelligence Dennis Blair responded to the report by noting changes made in response to the Christmas incident, including creation of a National Counterterrorism Center analytical unit dedicated to following up on terrorist threat information. However, Blair's statement noted that "institutional and technological barriers remain that prevent seamless sharing of information." In the main report, released by committee Chairwoman Dianne Feinstein, D-California, and ranking Republican Sen. Christopher "Kit" Bond of Missouri, the panel cited a series of breakdowns in the run-up to the attempt to blow up a United Airlines flight from Amsterdam, Netherlands, on Christmas Day. "The committee found there were systemic failures across the intelligence community, which contributed to the failure to detect the threat," the report said. Although the center was set up to analyze and integrate all intelligence regarding terrorism gathered or possessed by the government, the panel said, it found that no one agency considered itself responsible "for tracking and identifying all terrorism threats." The report also called technology across the intelligence community inadequate, contributing to the failure to detect the Christmas Day attack. It identified 14 "points of failure" in the incident, most of which have been raised previously by intelligence officials, including the failure of the State Department to revoke the suspect's U.S. visa, a breakdown in disseminating all information to key agencies and the failure to conduct necessary searches for information. In their addendum, Burr and Chambliss said the center "failed to organize itself in a manner consistent with Congress' intent or in a manner that would clearly identify its roles and responsibilities necessary to complete its mission." They specifically disagreed with what they called the center's assertion that tracking terrorists should be a team effort without a clearly identified "lane of responsibility." Burr and Chambliss noted that both the CIA and the National Counterterrorism Center had necessary information to determine a threat existed, but neither identified their specific information as a "threat stream." "Overlapping efforts can help reduce the risk of one agency overlooking at threat, but these additional efforts cannot replace the need for one primary agency to have ultimate responsibility for this mission," the two senators wrote.